Send your gratitude with the Thank You Garden! 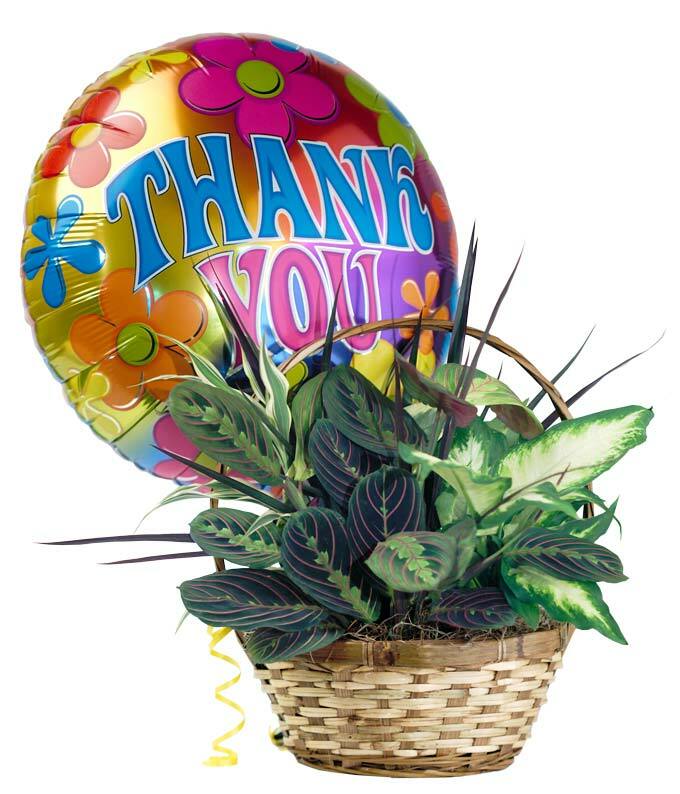 This beautiful green house plant is arranged in a woven planter and paired with a thank you balloon to complete the arrangement. Created by a florist and available for delivery today, it is the perfect thank you gift. Measures approximately 12"H x 8"D.